The history of Mjölnir is very interesting and exciting. And if everyone heard about the Hammer of Thor, very few know how it appeared and what force it possesses. According to legends, the reason for its creation was a Loki’s dispute with the blacksmiths. It was his trickery that led to the hammer having an extremely disproportionate handle. Because of this, no one could lift it, except for those who did it with a pure heart and mind. 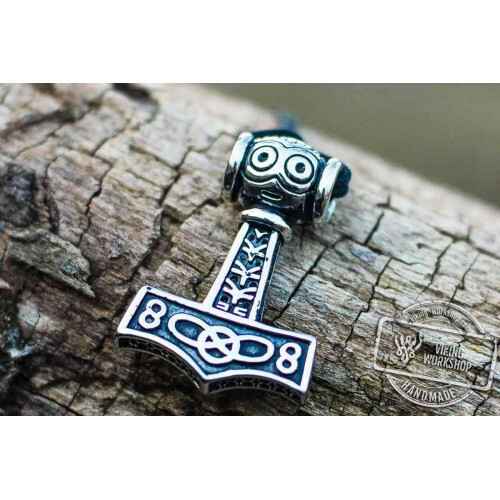 This led to a belief that wearing a Set of Sterling Silver Viking Chain with Wolf Tips and Viking Mjolnir Pendant indicates an open and honest person. Two pendant combines two powerful Norse characters: Mjölnir and the wolf. They are both considered to be the personification of dignity, honor, strength, power and faith. 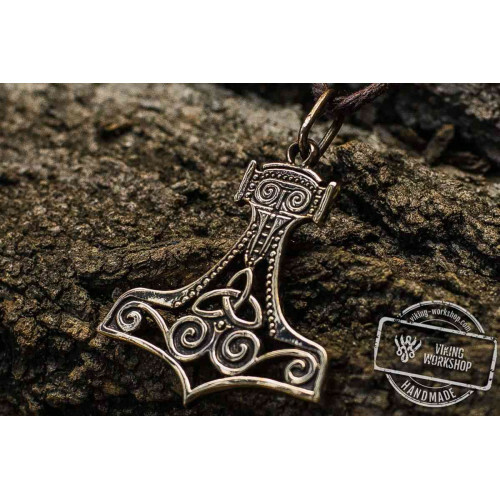 With this amulet you will get the protection not only of the mighty weapon, but also of its owner - the god of thunder and lightning Thor. Purchasing this jewelry will help you during difficult periods, or plans to radically change those or other things in your life. If you decide to buy a Set of Sterling Silver Viking Chain with Wolf Tips and Viking Mjolnir Pendant or other option you are interested in, you can choose the length of the chain you need. The standard length constitutes 55 centimeters, but you can add up to 15 centimeters more. The total cost depends on the pendant chain option you selected. Thus, regardless of the length, its thickness will be 4 millimeters, and the dimensions of the pendant 3.4x2.6x1x4 centimeters. If you order Set of Sterling Silver Viking Chain with Wolf Tips and Viking Mjolnir Pendant, you will receive a CD with songs and a braned box.